NSUK fresh students’ registration has been scheduled to commence registration from Monday 21stJanuary, 2019 to Monday 4thFebruary, 2019.
a. Data Capture On Arrival, the admitted candidate will proceed to www.nsuk.edu.ng, under NSUK PORTAL tab, Select UNDERGRADUATE PORTAL, wait for the page to load, and then select “NEW APPLICANT”. There are two options, “UTME” and “DE”. Select your category as required. 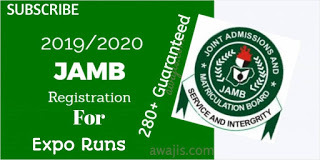 At this point you will be required to verify your Admission using your UTME/DE Number and filling the necessary details as may be required. Kindly provide valid email address and phone number as this will be used for password reset/retrieval when forgotten. At the point of submission, you will have an “APPLICANT ID” attached to you. b. Payment for Acceptance Fee Under NSUK PORTAL tab, Select UNDERGRADUATE PORTAL, wait for the page to load, and then select “APPLICANT LOGIN”. Enter your email address and password (the one specified while creating account). Click on accept admission, you will be required to pay a total of N10,300.00k via “REMITA PLATFORM”. You have the options to pay with any of the following: Mastercard, Visa Card, Verve Card, and Bank Branch. Select accordingly and provide card details and other details as it may be required. For Bank Branch payment, you will be required to generate an invoice containing the RRR code and take it to any of the following banks: Diamond, Ecobank, UBA, Keystone, Skye, Unity, FCMB, Zenith, First Bank, ask to pay through Remita Platform. After payment is made, wait a little and return to the website to print your Admission Letter and Screening Form. c. Result Verification Proceed to the Academic Office with the screening form and your credentials for certificate verification. 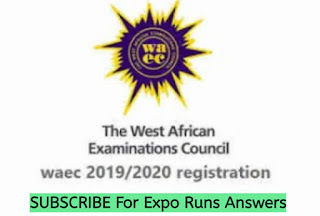 Candidates should note that they are to submit their UTME/DE Original Slip and Duplicate Copy of JAMB Admission Letter.